 Wiarton Service Centre is your one stop automotive service centre. If your vehicle needs it, we most likely have the equipment to handle it. Our services include, Air Conditioning Service and Repairs, Oil Changes and Scheduled Maintenances which exceeds vehicle manufacturers warranty specifications, Brake Service and Repairs, Steering and Suspensions, Alignments, Transmission Servicing and Repairs, Tune up Services, Engine Repairs, Computer Diagnostics, Electrical, Tire Sales and Services, Interior and Exterior Detailing including interior shampooing, Undercoating, Fuel Injection Cleaning and Servicing, Diesel Service and Repair, Exhaust, Safety Inspections.